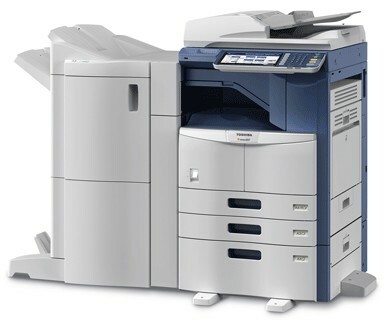 Both the Toshiba e-Studio 257/307/357/457/507 (see photo), and the e-Studio 557/657/757 and 857 with speeds ranging from 25 to 85 pages per minute have more powerful controllers compared to the previous generation, thanks largely to increased RAM (2GB). The hard disk capacity has been doubled to 320GB and continues to benefit from the integrated hardware encryption to ensure better data protection. Worth noting also that these devices are compatible with the AirPrint protocol that enables printing from iOS devices. Android users can use e-BRIDGE Print & Capture, which is a free download on Google Play (the iOS version is also free, from the App Store).